Sensational Ocean views from your private porch and large picture windows! Listen to the ever changing surf in this comfortably decorated and spacious beach condo! 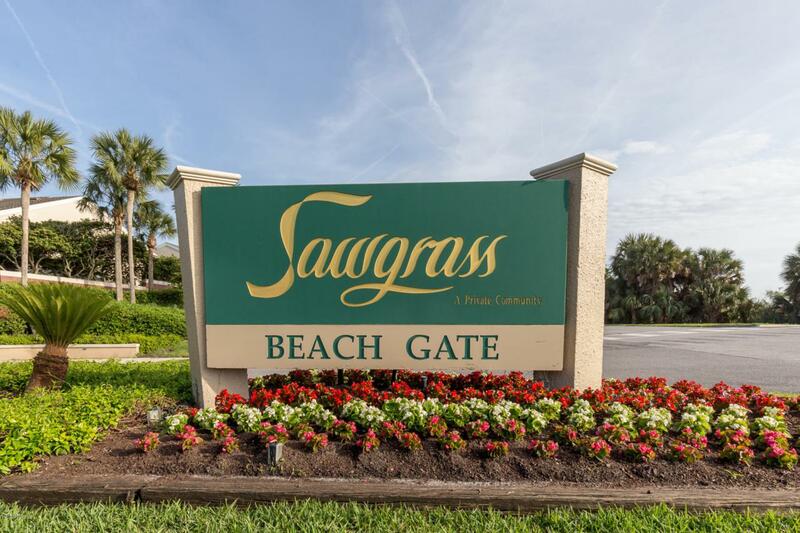 It has 1 Bedroom and 2 full Baths nestled in the prestigious Spinnakers Reach of Sawgrass Beach Cluba(tm)s gated community. Located on the 1st floor, this lovely appointed home provides an open floor plan which can be a private hideaway to sleep 1 or 2 in the King Size master suite or can be transformed to sleep up to 4 with a Queen Size sofa bed in the Living Room. Fabulous granite counter tops in the kitchen and both bathrooms, including a master suite vanity! Community pool just steps from your front door. 2 Car assigned garage parking located directly below.